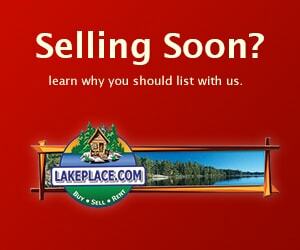 MUSKELLUNGE LAKE HOME - DO NOT HESITATE TO COME VIEW THIS PROPERTY ON 272-ACRE MUSKELLUNGE LAKE. NOT ONLY IS THE 3 BR, 2 BA 3,000+ SQUARE FT HOUSE BEAUTIFULLY MAINTAINED, BUT THE ATTACHED 2-CAR GARAGE, DETACHED 2-CAR GARAGE, BLACKTOP DRIVEWAY, 1.57 ACRES AND 100 FT OF FRONTAGE SCREAM VALUE. THE HOUSE FEATURES GORGEOUS WOOD FLOORING ON THE MAIN FLOOR, A FORMAL DINING AREA, AND SPACIOUS LIVING ROOM WITH A TOWERING STONE FIREPLACE AND PATIO DOORS TO THE LAKESIDE DECK. THE LOWER LEVEL BOASTS A LARGE FAMILY ROOM, REC ROOM WITH WET BAR, ENCLOSED PORCH, THE 3RD BR AND 2ND FULL BA. THE PARCEL IS ONE OF THE PRETTIEST IN THE AREA WITH ROLLING GREEN LAWNS AND PERENNIAL LANDSCAPING SITUATED RIGHT OFF THE ATV/SNOWMOBILE TRAILS. WITH LACK OF INVENTORY, TAKE THE TIME TO VIEW THIS HOME SOONER RATHER THAN LATER!